This article is about the country in Africa. For the spider genus, see Tanzania (spider). Jamhuri ya Muungano wa TanzaniaInvalid language code. Motto: "Uhuru na Umoja"Invalid language code. 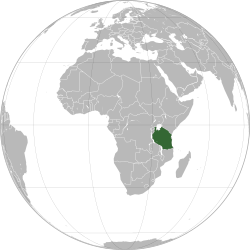 Tanzania ( /ˌtænzəˈniːə/), officially the United Republic of Tanzania (Swahili: Jamhuri ya Muungano wa Tanzania), is a sovereign state in eastern Africa within the African Great Lakes region. 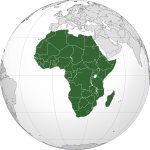 It borders Kenya and Uganda to the north; Rwanda, Burundi, and the Democratic Republic of the Congo to the west; Zambia, Malawi, and Mozambique to the south; and the Indian Ocean to the east. Mount Kilimanjaro, Africa's highest mountain, is in north-eastern Tanzania. The United Nations estimated Tanzania's 2016 population at 55.57 million. The population is composed of several ethnic, linguistic, and religious groups. Tanzania is a presidential constitutional republic and since 1996 its official capital city has been Dodoma where the president's office, the National Assembly, and some government ministries are located. Dar es Salaam, the former capital, retains most government offices and is the country's largest city, principal port, and leading commercial centre. Tanzania is a one party dominant state with the socialist-progressive Chama Cha Mapinduzi party in power. In the late 19th century, Germany conquered the regions that are now Tanzania (minus Zanzibar) and incorporated them into German East Africa (GEA). The Supreme Council of the 1919 Paris Peace Conference awarded all of GEA to Britain on 7 May 1919, over the strenuous objections of Belgium. :240 The British colonial secretary, Alfred Milner, and Belgium's minister plenipotentiary to the conference, Pierre Orts, then negotiated the Anglo-Belgian agreement of 30 May 1919:618-9 where Britain ceded the north-western GEA provinces of Ruanda and Urundi to Belgium. :246 The conference's Commission on Mandates ratified this agreement on 16 July 1919.:246-7 The Supreme Council accepted the agreement on 7 August 1919.:612-3 On 12 July 1919, the Commission on Mandates agreed that the small Kionga Triangle south of the Rovuma River would be given to Portuguese Mozambique,:243 with it eventually becoming part of independent Mozambique. The commission reasoned that Germany had virtually forced Portugal to cede the triangle in 1894.:243 The Treaty of Versailles was signed on 28 July 1919, although the treaty did not take effect until 10 January 1920. On that date, the GEA was transferred officially to Britain, Belgium, and Portugal. Also on that date, "Tanganyika" became the name of the British territory. Climate varies greatly within Tanzania. In the highlands, temperatures range between 10 and 20 °C (50 and 68 °F) during cold and hot seasons respectively. The rest of the country has temperatures rarely falling lower than 20 °C (68 °F). The hottest period extends between November and February (25–31 °C or 77–87.8 °F) while the coldest period occurs between May and August (15–20 °C or 59–68 °F). Annual temperature is 20 °C (68.0 °F). The climate is cool in high mountainous regions. Tanzanian Embassy in West End, Washington, D.C., USA. The Kariakoo market in Dar es Salaam. The Tea fields in Tukuyu. Approximately 70 percent of the population is rural, although this percentage has been declining since at least 1967. Dar es Salaam (population 4,364,541) is the largest city and commercial capital. Dodoma (population 410,956), is located in the centre of Tanzania, is the capital of the country, and hosts the National Assembly. ^ "Tanzania". Ethnologue. SIL International. https://www.ethnologue.com/country/TZ/languages. ^ David Lawrence (2009). 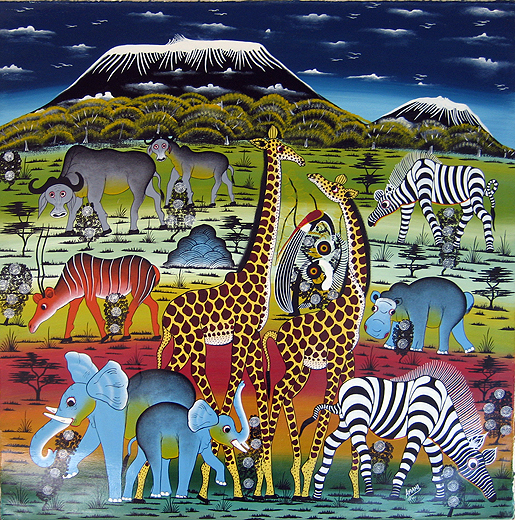 Tanzania: The Land, Its People and Contemporary Life. Intercontinental Books. p. 146. ISBN 978-9987-9308-3-8. https://books.google.com/books?id=qVDYbCfaPuQC&pg=PA146. ^ "About the United Republic of Tanzania". Permanent Representative of Tanzania to the United Nations. Archived from the original on 19 February 2011. https://web.archive.org/web/20110219043350/http://tanzania-un.org/index.asp?pgid=56. Retrieved 31 January 2015. ^ a b c ""Basic Facts and Figures on Human Settlements, 2012", National Bureau of Statistics, Tanzania Ministry of Finance, 2013, page 1, accessed 10 November 2014". http://www.nbs.go.tz/nbs/takwimu/Statistical_Methods_and_Standards/Basic_Facts_and_Figures_on_Human_Settlements_2012_Tanzania_Mainland.zip. ^ a b c d "Population Distribution by Administrative Areas, 2012 Population and Housing Census, National Bureau of Statistics, United Republic of Tanzania, 2013". http://www.nbs.go.tz/nbs/takwimu/census2012/Census_General_Report.zip. ^ "GINI Index". The World Bank. http://data.worldbank.org/indicator/SI.POV.GINI. Retrieved 14 October 2014. ^ "UPDATE 2-Tanzania's GDP expands by 32 pct after rebasing – officials". Reuters. 19 December 2014. https://af.reuters.com/article/tanzaniaNews/idAFL6N0U312N20141219?sp=true. Retrieved 19 December 2014. ^ "Tanzania | Define Tanzania at Dictionary.com". https://dictionary.reference.com/browse/tanzania. Retrieved 19 February 2014. ^ Aloysius C. Mosha. "The planning of the new capital of Tanzania: Dodoma, an unfulfilled dream". University of Botswana. Archived from the original on 12 July 2013. https://web.archive.org/web/20130712145006/http://www.etsav.upc.es/personals/iphs2004/pdf/148_p.pdf. Retrieved 13 March 2013. ^ a b c d e f Central Intelligence Agency. "Tanzania". The World Factbook. https://www.cia.gov/library/publications/the-world-factbook/geos/tz.html. ^ "The Tanzania National Website: Country Profile". Archived from the original on 25 November 2013. https://web.archive.org/web/20131125222553/http://www.tanzania.go.tz/profilef.html. Retrieved 1 May 2010. ^ "Dar es Salaam Port". Tanzaniaports.com. Archived from the original on 22 February 2014. https://web.archive.org/web/20140222180354/http://www.tanzaniaports.com/index.php?option=com_content&view=article&id=100&Itemid=270. Retrieved 19 February 2014. ^ a b c d e f g h i j (2009) "The Genetic Structure and History of Africans and African Americans". Science 324 (5930): 1035–44. DOI:10.1126/science.1172257. PMID 19407144. ^ a b Christopher Ehret (2001). An African Classical Age: Eastern and Southern Africa in World History, 1000 B.C. to A.D. 400. University Press of Virginia. ISBN 978-0-8139-2057-3. https://books.google.com/books?id=1i-IBmCeNhUC. ^ a b c d e f g h Ulrich Ammon; Norbert Dittmar; Klaus J. Mattheier (2006). Sociolinguistics: An International Handbook of the Science of Language and Society. Walter de Gruyter. p. 1967. ISBN 978-3-11-018418-1. https://books.google.com/books?id=LMZm0w0k1c4C&pg=PA1967. ^ a b "Tanzania Profile". Tanzanian Government. Archived from the original on 2 August 2017. https://web.archive.org/web/20170802124344/https://tanzania.go.tz/home/pages/68. Retrieved 23 July 2017. ^ a b "Tanzania Ditches English In Education Overhaul Plan". AFK Insider. 17 February 2015. https://afkinsider.com/88774/tanzania-ditches-english-education-overhaul-plan/. Retrieved 23 February 2015. ^ Harper, Douglas. "tanzania". Online Etymology Dictionary. http://www.etymonline.com/index.php?term=tanzania. ^ John Knouse: A Political World Gazetteer: Africa Script error website accessed 1 May 2007. ^ Harper, Douglas. "zanzibar". Online Etymology Dictionary. http://www.etymonline.com/index.php?term=zanzibar. ^ Phyllis Martin; Patrick O'Meara (1995). Africa. Indiana University Press. ISBN 0-253-20984-6. https://books.google.com/books?id=OAGPMAExRz8C. ^ Shoup, John A. (2011). Ethnic groups of Africa and the Middle East : an encyclopedia. Santa Barbara, California, U.S.: ABC-CLIO. p. 67. ISBN 978-1-59884-362-0. https://books.google.com/?id=GN5yv3-U6goC&pg=PA67. ^ (1978) "Complex iron smelting and prehistoric culture in Tanzania". Science 201 (4361): 1085–9. DOI:10.1126/science.201.4361.1085. PMID 17830304. ^ Kevin Shillington (2013). Encyclopedia of African History 3-Volume Set. Routledge. p. 1510. ISBN 978-1-135-45670-2. https://books.google.com/books?id=umyHqvAErOAC&pg=PA1510. ^ "Slavery". Encyclopædia Britannica. Archived from the original on 6 October 2014. https://web.archive.org/web/20141006131931/http://www.britannica.com/blackhistory/article-24157. ^ "Slave societies". Encyclopædia Britannica. 22 January 2014. https://www.britannica.com/EBchecked/topic/548305/slavery/24157/Slave-societies. Retrieved 19 February 2014. ^ Junius P. Rodriguez (1997). The Historical Encyclopedia of World Slavery. ABC-CLIO. ISBN 978-0-87436-885-7. https://books.google.com/books?id=ATq5_6h2AT0C. ^ "On The Zanzibar Map: Spices, Slaves And A Bit Of History". 17 February 2015. https://www.enchantingtravels.com/travel-blog/zanzibar-map-history. ^ a b c d e William Roger Louis (2006). Ends of British Imperialism: The Scramble for Empire, Suez, and Decolonization. I.B. Tauris. ISBN 9781845113476. https://books.google.com/books?id=NQnpQNKeKKAC&pg=PA246. Retrieved 19 September 2017. ^ a b "PAPERS RELATING TO THE FOREIGN RELATIONS OF THE UNITED STATES, THE PARIS PEACE CONFERENCE, 1919". United States Department of State. https://history.state.gov/historicaldocuments/frus1919Parisv07/pg_613. Retrieved 19 September 2017. ^ a b Jay Heale; Winnie Wong (2010). Tanzania. Marshall Cavendish. ISBN 978-0-7614-3417-7. https://books.google.com/books?id=9UhNJxHg14wC. ^ a b c d e f g h i j k l m n o "Statistical Abstract 2013, National Bureau of Statistics, Tanzania Ministry of Finance, July 2014, accessed 22 October 2014], [https://web.archive.org/web/20161123044258/http://www.nbs.go.tz:80/nbs/Stastical%20Abstract/Statistical%20Abstract%20Report%202013.pdf Archive link". Archived from the original on 17 April 2015. https://web.archive.org/web/20150417160751/http://www.nbs.go.tz/nbs/Stastical%20Abstract/Statistical%20Abstract%20Report%202013.pdf. ^ a b "Unveiling Zanzibar's unhealed wounds". BBC News. 25 July 2009. http://news.bbc.co.uk/2/hi/8167390.stm. ^ "Background history of The Union between Tanganyika and Zanzibar" (PDF). Vice President's Office, United Republic of Tanzania. http://www.vpo.go.tz/document_storage/historical_overview.pdf. Retrieved 25 April 2013. ^ Jamie Monson (2009). Africa's Freedom Railway: How a Chinese Development Project Changed Lives and Livelihoods in Tanzania. Indiana University Press. p. 199. ISBN 0-253-35271-1. https://books.google.com/books?id=xeeDwcT51BcC&pg=PA23. ^ Anna Muganda (2004). "Tanzania's Economic Reforms – and Lessons Learned" (PDF). http://www.tanzaniagateway.org/docs/Tanzania_Country_Study_Full_Case.pdf. Retrieved 19 February 2014. ^ ""Tanzania: 1995 National Assembly election results".". Archived from the original on 18 March 2015. https://web.archive.org/web/20150318222841/http://www.content.eisa.org.za/old-page/tanzania-1995-national-assembly-election-results. ^ "CIA – The World Factbook – Rank Order – Area". Cia.gov. https://www.cia.gov/library/publications/the-world-factbook/rankorder/2147rank.html. Retrieved 16 October 2014. ^ "Country review: United Republic of Tanzania". December 2003. http://www.fao.org/docrep/009/a0477e/a0477e13.htm. ^ a b c Zorita, Eduardo (12 February 2002). "Rainfall variability in Northern Tanzania in the March–May season (long rains) and its links to large-scale climate forcing" (PDF). Climate Research 20: 31–40. DOI:10.3354/cr020031. Retrieved on 16 October 2014. ^ Ridwan Laher; Korir SingíOei (2014). Indigenous People in Africa. : Contestations, Empowerment and Group Rights. Africa Institute of South Africa. p. 57. ISBN 978-0-7983-0464-1. https://books.google.com/books?id=nZiyAwAAQBAJ&pg=PA57. ^ "Home". Tanzania National Parks. Archived from the original on 6 October 2014. https://web.archive.org/web/20141006085600/http://www.tanzaniaparks.com/. Retrieved 16 October 2014. ^ "Gombe Stream National Park". Tanzania National Parks. Archived from the original on 4 October 2014. https://web.archive.org/web/20141004004545/http://www.tanzaniaparks.com/gombe.html. Retrieved 16 October 2014. ^ Laura Riley; William Riley (2005). Nature's Strongholds: The World's Great Wildlife Reserves. Princeton University Press. ISBN 0-691-12219-9. https://books.google.com/books?id=icMuBQhW4vgC. ^ S. N. Stuart; Martin Jenkins (1990). Biodiversity in Sub-Saharan Africa and Its Islands: Conservation, Management, and Sustainable Use. IUCN. p. 204. ISBN 978-2-8317-0021-2. https://books.google.com/books?id=QGyrXpCbTX4C&pg=PA204. ^ a b c d e f g h i j k l "Constitution of the United Republic of Tanzania" (PDF). Judiciary of Tanzania. https://www.judiciary.go.tz/downloads/constitution.pdf. Retrieved 19 February 2014. 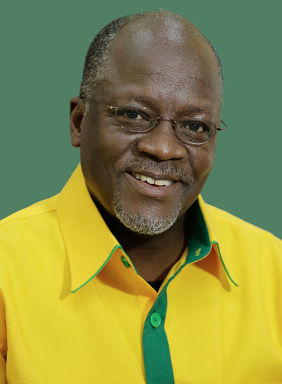 ^ "Tanzania's ruling party secures the presidency and a two-thirds majority in parliament". Quartz. https://qz.com/536317/tanzanias-ruling-party-secures-the-presidency-and-a-two-thirds-majority-in-parliament/. Retrieved 30 October 2015. ^ a b "Tanzania: Government". Broad College of Business, Michigan State University. https://globaledge.msu.edu/countries/tanzania/government. Retrieved 19 February 2014. ^ a b c d e f g h i j Christabel Manning and Seka Kasera. "UPDATE: Guide to Tanzanian Legal System and Legal Research". GlobaLex. http://www.nyulawglobal.org/globalex/Tanzania1.htm#_The_Judiciary. Retrieved 16 October 2014. ^ "Commercial Division — High Court of Tanzania". http://www.comcourt.go.tz/comcourt/. ^ "State Sponsored Homophobia 2016: A world survey of sexual orientation laws: criminalisation, protection and recognition". International Lesbian, Gay, Bisexual, Trans and Intersex Association. 17 May 2016. Archived from the original on 10 October 2017. https://web.archive.org/web/20171010135034/http://ilga.org/downloads/02_ILGA_State_Sponsored_Homophobia_2016_ENG_WEB_150516.pdf. ^ ""Pew Global Attitudes Project", pages 35, 84, and 117". http://pewglobal.org/reports/pdf/258.pdf. ^ https://www.independent.co.uk/life-style/health-and-families/witchcraft-albino-trade-body-part-human-rights-un-sub-saharan-african-a7958946.html "The trade in body parts of people with albinism is driven by myths and international inaction"
^ a b c "Zanzibar: Constitution". Electoral Institute for Sustainable Democracy in Africa. Archived from the original on 25 February 2014. https://web.archive.org/web/20140225003002/http://www.content.eisa.org.za/old-page/zanzibar-constitution. Retrieved 19 February 2014. ^ a b Markku Suksi (2011). Sub-State Governance through Territorial Autonomy: A Comparative Study in Constitutional Law of Powers, Procedures and Institutions. Springer Science & Business Media. p. 467. ISBN 978-3-642-20048-9. https://books.google.com/books?id=d7UUkiwi_9cC&pg=PA467. ^ a b "404". 15 June 2015. https://www.tampere.fi/tiedostot/5nCY6QHaV/kuntajarjestelma_tansania_.pdf. ^ Kilyinga, Nasongelya (10 July 2015). "Enter Songwe Region as Six Districts Created". Daily News. http://allafrica.com/stories/201507100264.html. Retrieved 21 February 2017. ^ Mwakyusa, Alvar (4 February 2016). "Songwe is new region - with four districts". Daily News. Archived from the original on 5 February 2016. https://web.archive.org/web/20160205094519/http://dailynews.co.tz/index.php/home-news/46650-songwe-is-new-region-with-four-districts. Retrieved 21 February 2017. ^ "City Status". Dar Es Salaam City Council. Archived from the original on 22 November 2013. https://web.archive.org/web/20131122230207/http://www.dcc.go.tz/about-us/city-status.html. ^ "Local Government (Urban Authorities) Act, 1982, amended 1999" (PDF). Parliamentary On-line Information System. 1999. 7A and 69A. Archived from the original on 22 October 2013. https://web.archive.org/web/20131022045450/http://polis.parliament.go.tz/PAMS/docs/6-1999.pdf. Retrieved 19 February 2014. ^ a b c Andreas Mehler; Henning Melber; Klaas van Walraven (2013). Africa Yearbook Volume 9: Politics, Economy and Society South of the Sahara in 2012. BRILL. pp. 410–. ISBN 978-90-04-25600-2. https://books.google.com/books?id=Af9AAQAAQBAJ&pg=PA410. ^ "Tanzania: After Two Days, No Agreement Over Lake Niassa". AllAfrica.com. 22 March 2014. http://allafrica.com/stories/201403230009.html. ^ "Declarations Recognizing the Jurisdiction of the Court as Compulsory | International Court of Justice" Script error. icj-cij.org. ^ "China's investment in Tanzania surges". The Citizen. Agence France-Presse. 15 February 2014. http://www.thecitizen.co.tz/Business/China-s-investment-in-Tanzania-surges/-/1840414/2208290/-/y5lurxz/-/index.html. Retrieved 16 October 2014. ^ "U.S. Relations With Tanzania". U.S. Department of State. https://www.state.gov/r/pa/ei/bgn/2843.htm. Retrieved 9 July 2014. ^ Gabriella Schwarz; Jessica Yellin (1 July 2013). "Obama in Tanzania, sees Africa as next global economic success". CNN. http://www.cnn.com/2013/07/01/world/africa/tanzania-obama/. ^ "East African Community: One People One Destiny". East African Community. Archived from the original on 5 July 2014. https://web.archive.org/web/20140705202327/http://www.eac.int/. Retrieved 10 July 2014. ^ "Annex on the Free Movement of Persons". East African Community. Archived from the original on 22 October 2014. https://web.archive.org/web/20141022044517/http://www.eac.int/commonmarket/index.php?option=com_content&view=article&id=87&Itemid=137. Retrieved 21 October 2014. ^ "Annex on the Right of Residence". East African Community. Archived from the original on 22 October 2014. https://web.archive.org/web/20141022044423/http://www.eac.int/commonmarket/index.php?option=com_content&view=article&id=90&Itemid=112. Retrieved 21 October 2014. ^ "Member States". Southern African Development Community. Archived from the original on 8 July 2014. https://web.archive.org/web/20140708202316/http://www.sadc.int/member-states/. Retrieved 10 July 2014. ^ "Declaration launching Tripartite FTA negotiations – English" Script error. comesa-eac-sadc-tripartite.org. ^ "Tanzanian troops arrive in eastern DR Congo as part of UN intervention brigade". United Nations. 10 May 2013. https://www.un.org/apps/news/story.asp?NewsID=44876. Retrieved 17 October 2014. ^ a b c d e "About Tanzania". http://www.undp.org/content/tanzania/en/home/countryinfo.html. ^ a b c d e "Heifer's Work in Tanzania - Heifer International - Charity Ending Hunger And Poverty". http://www.heifer.org/ending-hunger/our-work/countries/africa/tanzania.html. ^ ""MKUKUTA Annual Implementation Report 2012/13", Tanzania Ministry of Finance, November 2013, page 11, accessed 1 November 2014". http://www.mof.go.tz/mofdocs/news/latest%20news/MAIR%202012_13(upload).pdf. ^ "Irrigation will give us more food by 2015 – govt". 5 December 2011. Archived from the original on 22 October 2013. https://web.archive.org/web/20131022040833/http://www.ippmedia.com/frontend/index.php?l=36093. Retrieved 19 February 2014. ^ a b "International - U.S. Energy Information Administration (EIA)". https://www.eia.gov/countries/country-data.cfm?fips=tz. ^ a b c ""Quarterly Economic Review and Budget Execution Report for Fiscal Year 2013/14: January–March 2014", Tanzania Ministry of Finance, May 2014, accessed 11 November 2014". http://www.mof.go.tz/mofdocs/budget/Budget%20Execution%20Report/BER%20January%20-%20March%202014%20Final.pdf. 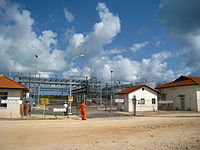 ^ a b "Tanzania: Electricity and Heat for 2012". iea.org. ^ ashery mkama. "DailyNews Online Edition" Script error. DailyNews Online Edition. ^ "Electricity Supply Industry Reform Strategy and Roadmap 2014–2025, Tanzania Ministry of Energy and Minerals, 30 June 2014, page i, accessed 26 October 2014". Archived from the original on 24 March 2015. https://web.archive.org/web/20150324111701/http://gst.go.tz/images/TANZANIA%20ELECTRICITY%20SUPPLY%20INDUSTRY%20REFORM%20STRATEGY%20%26%20ROADMAP.pdf. ^ "OIL and GAS EXPLORATION.pdf". Archived from the original on 27 December 2015. https://web.archive.org/web/20151227104800/http://www.tpdc-tz.com/OIL%20and%20GAS%20EXPLORATION.pdf. Retrieved 9 April 2015. ^ a b c "International - U.S. Energy Information Administration (EIA)". Archived from the original on 10 May 2015. https://web.archive.org/web/20150510163804/http://www.eia.gov/countries/regions-topics2.cfm?fips=EEAE. ^ "Tanzania gas pipe: finished but not in service". https://www.energyglobal.com/pipelines/project-news/01042015/Tanzania-gas-pipe-finished-but-not-in-service/. Retrieved 9 April 2015. ^ a b "Tanzania Tourist Arrivals Increase by 12.9% in 2016 to Reach 1,28 M - TanzaniaInvest" (in en-US). TanzaniaInvest. 26 May 2017. https://www.tanzaniainvest.com/tourism/tourist-arrivals-reach-2016. Retrieved 12 August 2017. ^ "UNWTO Tourism Highlights: 2014 Edition, United Nations World Tourism Organization, page 11, accessed 17 November 2014". Archived from the original on 8 February 2015. https://web.archive.org/web/20150208040125/http://dtxtq4w60xqpw.cloudfront.net/sites/all/files/pdf/unwto_highlights14_en_hr_0.pdf. ^ "About the Bank — Primary Objective and Function of the Bank". Bank of Tanzania. http://www.bot-tz.org/AboutBOT/BOTFunction.asp. Retrieved 19 February 2014. ^ Kraemer-Mbula, Erika; Scerri, Mario (2015). Southern Africa. In: UNESCO Science Report: towards 2030. Paris: UNESCO. pp. 535-565. ISBN 978-92-3-100129-1. Archived from the original on 10 October 2017. https://web.archive.org/web/20171010135440/http://unesdoc.unesco.org/images/0023/002354/235406e.pdf. ^ "Tanzania in figures 2012" (PDF). National Bureau of Statistics, Tanzania. June 2013. p. 7. Archived from the original on 26 November 2013. https://web.archive.org/web/20131126120431/http://www.nbs.go.tz/takwimu/references/Tanzania_in_figures2012.pdf. Retrieved 19 February 2014. ^ a b David Levinson (1998). Ethnic Groups Worldwide: A Ready Reference Handbook. Oryx Press. p. 173. ISBN 978-1-57356-019-1. https://books.google.com/books?id=uwi-rv3VV6cC&pg=PA173. ^ a b c d e f g h i j Kefa M. Otiso (2013). Culture and Customs of Tanzania. ABC-CLIO. ISBN 978-0-313-08708-0. https://books.google.com/books?id=90d9pKhSjAIC. ^ "Tanzania (06/02)". U.S. Department of State. https://www.state.gov/outofdate/bgn/tanzania/26492.htm. Retrieved 17 January 2017. ^ "Tanzania orders Chinese out of Dar es Salaam market". BBC News. 7 January 2011. https://www.bbc.co.uk/news/world-africa-12138811. Retrieved 19 February 2014. ^ "Tanzania (08/09)". U.S. Department of State. https://www.state.gov/outofdate/bgn/tanzania/127939.htm. Retrieved 19 February 2014. ^ "Albino teen attacked for her body parts - CNN Video". https://edition.cnn.com/videos/us/2015/10/09/tanzania-albino-teen-los-angeles-bones-sidner-dnt-nr.cnn. ^ Moritz Fischer (2011). ""The Spirit helps us in our weakness": Charismatization of Worldwide Christianity and the Quest for an Appropriate Pneumatology with Focus on the Evangelical Lutheran Church in Tanzania". Journal of Pentecostal Theology 20: 96–121. ^ "U.S. Department of State". state.gov. 2008. https://www.state.gov/g/drl/rls/irf/2008/108395.htm. ^ Joshua A. Fishman Distinguished University Research Professor of Social Sciences Yeshiva University (Emeritus) (2001). Handbook of Language & Ethnic Identity. Oxford University Press. pp. 361–. ISBN 978-0-19-976139-5. https://books.google.com/books?id=ay0FmRjOLWMC&pg=PA361+. ^ Quintin Winks (2011). Tanzania – Culture Smart! : The Essential Guide to Customs & Culture. Kuperard. pp. 145–. ISBN 978-1-85733-625-2. https://books.google.com/books?id=5bM-AQAAQBAJ&pg=PT145. ^ Colin Baker; Sylvia Prys Jones (1998). Encyclopedia of Bilingualism and Bilingual Education. Multilingual Matters. pp. 367–. ISBN 978-1-85359-362-8. https://books.google.com/books?id=YgtSqB9oqDIC&pg=PA367. ^ François Grosjean (1982). Life with Two Languages: An Introduction to Bilingualism. Harvard University Press. pp. 8–. ISBN 978-0-674-53092-8. https://books.google.com/books?id=VqGpxZ9pDRgC&pg=PA8. ^ Matthias Brenzinger (1992). Language Death: Factual and Theoretical Explorations with Special Reference to East Africa. Walter de Gruyter. pp. 86–. ISBN 978-3-11-013404-9. https://books.google.com/books?id=iKHOeLDvUVgC&pg=PA86. ^ Concise Encyclopedia of Languages of the World. Elsevier. 2010. pp. 1026–. ISBN 978-0-08-087775-4. https://books.google.com/books?id=F2SRqDzB50wC&pg=PA1026. ^ Henry R. T. Muzale (June 2008). "Researching and Documenting the Languages of Tanzania". Language Documentation and Conservation 2 (1): 68–108. ^ Roger Blench (2006). Archaeology, Language, and the African Past. Rowman Altamira. p. 163. ISBN 978-0-7591-1421-0. https://books.google.com/books?id=uVc2AAAAQBAJ&pg=PA163. ^ "Tanzania, United Republic of – Statistics". UNICEF. https://www.unicef.org/infobycountry/tanzania_statistics.html. Retrieved 15 October 2014. ^ a b c "2013 Findings on the Worst Forms of Child Labor". U.S. Department of Labor. https://www.dol.gov/ilab/reports/child-labor/findings/2013TDA/tanzania.pdf. ^ a b c d "United Republic of Tanzania: Health Profile". World Health Organization. May 2014. http://www.who.int/entity/gho/countries/tza.pdf. Retrieved 15 October 2014. ^ a b "World Health Statistics". World Health Organization. 2013. Archived from the original on 23 October 2014. https://web.archive.org/web/20141023061041/http://apps.who.int/iris/bitstream/10665/81965/1/9789241564588_eng.pdf. Retrieved 15 October 2014. ^ "Global report: UNAIDS report on the global AIDS epidemic 2013" (PDF). Joint United Nations Programme on HIV and AIDS. Archived from the original on 21 October 2014. https://web.archive.org/web/20141021114345/http://www.unaids.org/en/media/unaids/contentassets/documents/epidemiology/2013/gr2013/unaids_global_report_2013_en.pdf. ^ a b c d e f g h i j k = (3 December 2014). "Consideration of reports submitted by States parties under article 18 of the Convention, Seventh and eighth periodic reports of States parties due in 2014 : United Republic of Tanzania". UN Committee on the Elimination of Discrimination Against Women (CEDAW). http://www.refworld.org/country,,CEDAW,,TZA,,56a88e944,0.html. ^ a b Wakabi Wairagala (2004). Tanzania. Gareth Stevens Pub.. p. 36. ISBN 978-0-8368-3119-1. https://books.google.com/books?id=tViQJkGh06YC&pg=PA36. ^ Annabel Skinner (2005). Tanzania & Zanzibar. New Holland Publishers. p. 96. ISBN 978-1-86011-216-4. https://books.google.com/books?id=yF5KZPlooGIC&pg=PA96. ^ Bev Pritchett (2007). Tanzania in Pictures. Twenty-First Century Books. pp. 53–. ISBN 978-0-8225-8571-8. https://books.google.com/books?id=GoKnbA1c1DsC&pg=PA53.